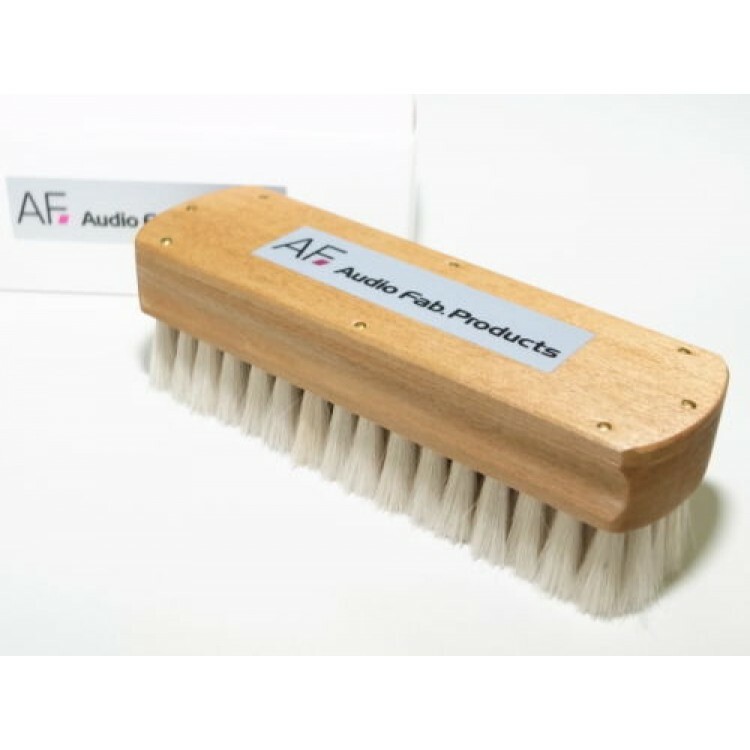 This record brush is dry type of brush that hair was used 100% of sheep. Effect was not make yourself use until now, after brushing a record at the record cleaner and planar compounds, when you shine again in this record-brush, I think still to become a know tail that had caked many trash. How to use, along the record groove, try rubbing with the intention, such as polish to put some effort. In the conventional variety of cleaner class, trash that can not be taken by you I have raised. Then, after collecting the trash in one Ke-sho, please scooped up the trash in another wet-type cleaner. <Note 1> This brush force to scrape the dirt from the grooves is high, but it does not have the power to scoop up. Therefore, the way to remove the raised garbage kind from the record please take in another wet-type cleaner class. <Note 2> is done therefore be implanted by bundling the hair of sheep, around the time of first use will take short hair slightly, but please be assured that take you and so will stabilize to some extent.